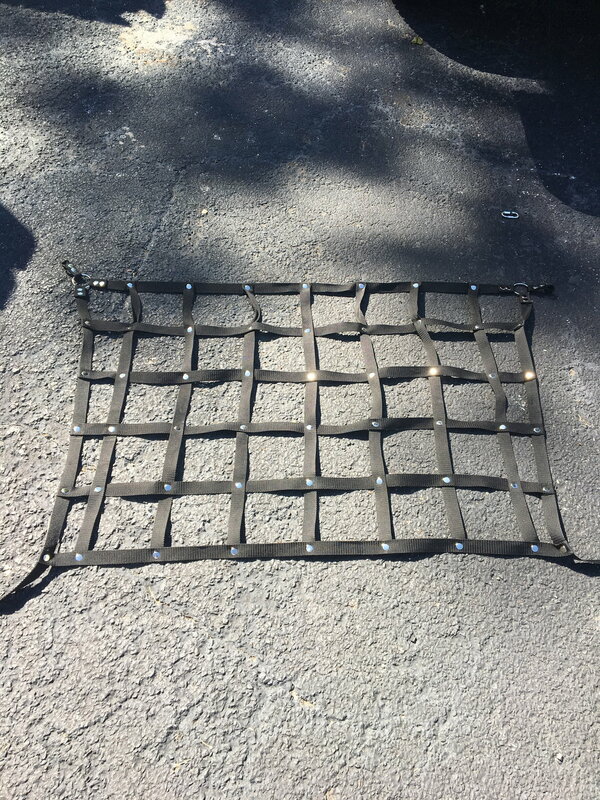 Selling my trailtuff cargo net. It worked great for me but I'm building a metal divider now, so no use for it. In perfect condition, comes with all the hardware originally shipped with it. It doesn't have directions anymore, but it's really easy to install. I'll walk you through it if you buy it. $60 shipped in the lower 48. First image is a pictire from the website. I didn't take any of it installed before I removed it. Second picture is the actual one I'm selling. Just sent a PM back to Martlor13. He messaged me pretty late last night, so I'll give him a shot to send some payment over today. Thanks for the interest folks.